Everyone likes to make pumpkin crafts and Jack-O-Lanterns for Halloween crafts. 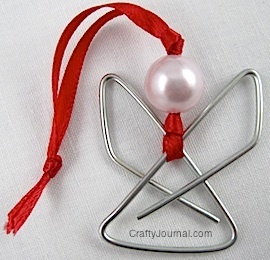 You can make them from all kinds of materials and supplies – even from recycled things. You can now find artificial pumpkins, and you might like to try using one to make a Jack-O-Lantern you can keep. It would be easy to use a battery operated tea light inside it, instead of a candle. Many of the pumpkin crafts could be made into Jack-O-Lanterns. And the Jack-O-Lanterns can become pumpkins by leaving off the face. Try making an adult size ghost and use the artificial pumpkin with a spooky face for its head. A tall skeleton with a creepy looking Jack-O-Lantern tucked under its arm would make a great prop for a Halloween party. Use a pumpkin, real or fake, for the body of a turkey. Some of the other pumpkin crafts can be adapted for Thanksgiving, too. Fun and easy pumpkin crafts for toddlers. Find a unique collection of pumpkin crafts that younger children can do. Some may require a little help from an adult. Older kids will enjoy these pumpkin projects, and will also like many of the preschool pumpkin crafts, as well. Adults and older kids will find many projects here. Some of them may easily be adapted for younger children. A pumpkin topiary makes a perfect Halloween centerpiece, and you will find several ideas here.